Concussions following a motor vehicle accident tend to be taken lightly. People often try to walk it off like they would with a scrape or a bruise, but a concussion can have severe and permanent effects on brain functions. That can mean expensive therapy and missed work. Many times, people don’t even know they have suffered a brain injury at all. Effects caused by the concussion can take weeks or months to appear, and the victim may not know that the concussion caused these symptoms. Falls and car accidents are the two leading causes of brain injuries in Canada. The violent, sudden forces cause the brain to move and hit the inside of the skull, which is covered in bony ridges. This impact can cause bruising or bleeding in the brain. Some brain injuries, if they are not treated immediately, can get worse over time and cause even more damage to the brain. It’s commonly thought that all concussions will heal, but that is not the case. For 10 to 15% of concussion victims, symptoms are still present a year after the injury. This is known as Chronic Post-Concussive Syndrome. It’s always a good idea to get a medical check-up after being involved in an accident, but that’s especially true if you think you may have suffered a brain injury. If left untreated, a brain injury can continue damaging the brain after the accident – this process is known as the Cascade Effect. 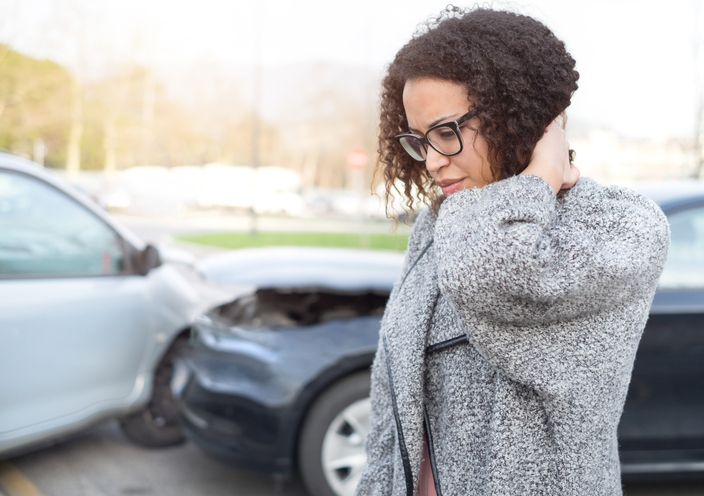 If you think you may have suffered a brain injury in an accident, consider getting a free consultation with an injury lawyer who can help you evaluate the injury’s impact on your life and whether you are entitled to an insurance claim. If a Traumatic Brain Injury results from the negligence of another person, the TBI victim may be entitled to compensation for the injury and the resulting disability. Cantini Law|Droit has been representing clients with Traumatic Brain Injuries for over 30 years. You can also learn more about TBI by downloading our eBook or by Contacting Us at 1-844-CANTINI.